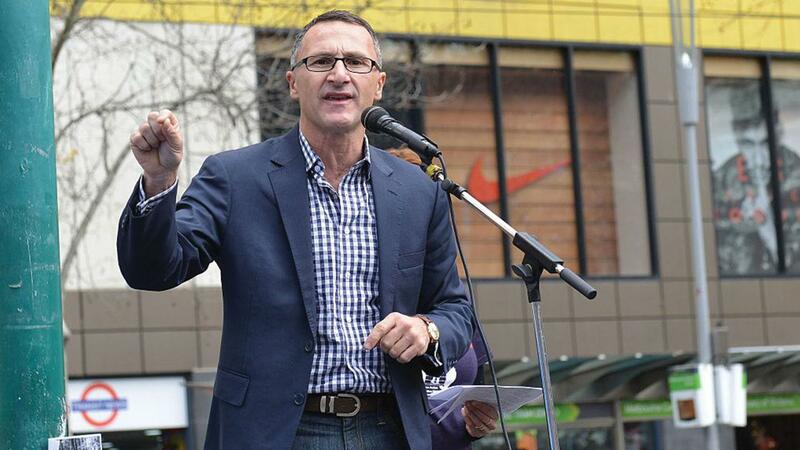 This week Greens Leader Richard Di Natale announced that the Greens Party would table, debate and vote on Charter of Rights legislation in the 45th Parliament. They will refer the Charter to the Parliamentary Joint Committee on Human Rights to determine the best model, along with the rights that should be included. This is a debate that has been going on, in some form or another, for more than a century. As Dr Di Natale pointed out, we are the only western democracy without a legislated or constitutional Charter of Rights. A Constitution cannot say everything. Even if it could, this would probably not be desirable. Many things we might want it to say today would quickly go out of date….if ever Australians adopt a bill of rights in their Constitution, they should decide whether they want all the rights to extend to everyone in Australia, or only to legal citizens. Modern bills of rights around the world tend to make this clear. That too may be one of the important things for the Constitution to say that is currently left unsaid. A Charter of Rights could be made through legislation and might be a strong or weak model. A strong model would prevent the Parliament from making legislation that would breach the rights in the Charter. If they did so, they may be able to be sued. A weak model would ensure that the rights contained in the Charter are considered when creating legislation and if the Parliament were to disregard them they would need to explain why to the people. Magna Charta, the Petition of Rights, and the Bill of Rights, contain declarations of rights, privileges, and immunities, which are said to be the inalienable birthright and heritage of every British subject, protecting his liberty from unlawful impairment and his property from spoliation. These declarations undoubtedly bind the British Executive and the British Judiciary; they may guide but cannot bind the British Parliament, which may amend or repeal them at any time. At the time of federation there was a legislated petition of rights and a bill of rights in the UK. It was thought that this was a perfectly acceptable way of protecting the rights of every British subject. The separation of powers, which outlines the roles of the Parliament, the Executive and the Judiciary, is set out in our Constitution and it was thought to be a good way to protect people’s rights. Another Constitution that was extensively examined in the drafting process for our Constitution was that of the US. Many people wonder why Australia doesn’t have a US style Bill of Rights in our Constitution. But even when the Bill of Rights was entered into the US Constitution it didn’t provide the kind of rights that are now acknowledged in the US. The rights in the US Constitution have been defined by the US Supreme Court over the twentieth century as more individual rights. Early on the Bill of Rights in the US Constitution only applied to federal laws and were often overlooked or unchallenged in the Supreme Court. For instance, American suffragettes made several unsuccessful claims that the denial of their right to vote breached their Constitutional guarantee of privileges of citizenship. Women did not get the vote in the US until 1920. In the meantime, women could vote in some of the Australian colonies before federation and the new Australian Parliament gave women the vote in the first electoral legislation. They could vote federally at the 1903 election. The expression ‘a bill of rights’ has an immediate attraction to it; to be subject to such a measure seems at first sight inherently desirable, just the kind of legislative measure a freedom loving nation would aspire to. Only with experience of the operation of such measures do doubts arise. The true measure of those doubts lies in the assumption, inherent in any such measure, that at a given moment in time it is possible once and for all to identify and declare, both for now and for the future, all those rights which citizens should desirably possess, secure in the knowledge that such a declaration will serve all future needs of the community. The very enshrining of rights in a single measure of special status carries with it the consequence that its formulation is critical and that its interpretation becomes of the highest significance and confers extraordinary power upon those to whom the task of interpretation is given; yet those possessing such power will not customarily be the elected of the people but instead, almost necessarily, lawyers and appointees of government. The courts are the third branch of government. To that extent they are already involved in politics, although not usually party politics. A Federal system of government itself introduces a necessary element of politics into the courts. Courts must, of necessity, decide, in the event of controversy, where power lies, i.e. between the Federal Parliament and the States or elsewhere. What is necessary is a recognition of the inherently political nature of the judicial branch of government and a harnessing of that function to ensure that judges, above party politics, protect the basic fundamentals of all the people living in our form of society. It is often the case that Parliaments avoid the really difficult problems, leaving them to be solved, if at all, by the courts….It has often been left to the courts to protect and advance basic rights. Thus in Mabo, the High Court of Australia reversed the terra nullius mythology which had afflicted Australian law since the commencement of European settlement. One hundred and fifty years after representative government was introduced in Australia, it was left to seven unelected judges to remove the patently false assertion that Australia was an empty continent at the time of settlement. Judges by their training, are used to making decisions. Judges do not avoid decision-making. Their duty is to reach conclusions and to express them in reasons and give effect to them in orders. In many neglected areas of fundamental rights, it is essential that the judges be provided with the power to determine difficult questions which Parliament puts into the "too hard basket". This a bill of rights would accomplish. What rights do we have in the Constitution? The Australian Constitution contains very few individual rights. You’ll find property rights, and right to a trial by jury, that you are to be treated equally by each state and religious freedoms. On top of that the courts, through decisions they have made, have given us an implied right to vote and an implied right to political communication. However, these rights are more limited than they seem. If you are a prisoner in jail for more than a certain number of years, you cannot vote. The States do not have to comply with section 51xxxi. For example, some of the states have hoon laws where they can crush your car and do not compensate you. Some trials do not have a jury. Religious freedoms are one of the most limited and the Parliament would likely be able to infringe on this right if the legislation was made with another purpose. Students from one state may not be able to take advantage of student priced tickets on public transport in another state, meaning they are treated unequally by that state. And if a law infringes on the implied right to political communication, but that is not the purpose of the law, then it will probably stand. There is a good reason to highlight all of this. Even the rights that we do have in the Constitution are on shakier ground than we imagine at first glance. When legislation is challenged in the High Court, the Justices take many things into account. One of these is the purpose of the law, which they balance with the rights of the people in their decision making. We don’t have a bill of rights in the Constitution or through legislation, but that doesn’t mean we don’t have other rights. The Constitution provides the Australian community with many protections. We have a right to elect those who sit in the parliament and whoever can hold a majority becomes the government. If that Government does something that is outside of the rules, whether they are the rules in the Constitution or within legislation, we have a right to ask the High Court to rule on it. Not everyone has an individual right to ask the High Court, but within the community there will be people that can. We also have the right to be protected from our country becoming a dictatorship. One way we are protected is that only the courts can exercise judicial power. The Government cannot lock up their opposition and throw away the key. We are protected by the separation of powers and that principle pervades throughout our Constitution. But with rights come responsibilities. For instance, we have a right to vote, but we are also obliged to vote. And it’s a responsibility, not just to vote, but to make an informed vote. Do we have a right to free speech? Many people believe that we should have the right to say whatever we like, wherever we are. Other people believe that they have a right not be verbally abused by hurtful racist words. And so, the government tried to balance these two rights through legislation in the Racial Discrimination Act, which is currently under debate. Is one of these rights more universal than the other? How would a Charter of Rights approach this subject? Do you think we have a right to drink clean water? Do we have a right to education and employment? Healthcare and housing? What about freedom of movement? The Parliament has the power to create legislation to remove passports. Many people are okay with the recent announcement of passport removal from convicted paedophiles. But what about the robodebt debacle, where people were threatened with the removal of passports if they didn’t pay back small and sometimes disputed debts? Could a Charter of Rights more clearly draw a line as to when it is acceptable to infringe on freedom of movement? What about the right to privacy? Privacy over the internet has been chipped away over a decade, without many of us even noticing. Would Australians like to know that the right to privacy is taken into consideration when legislation is created? The world has changed significantly since the Constitution was written. Rights are now at the forefront of many people’s mind. A legislated Charter of Rights may not restrict the Parliament. Many experts argue that it would just mean that our rights were considered when every piece of legislation was being written. One potential model could see a list of rights in the Charter, and if a piece of legislation eroded any of these, the legislation would just need to provide a reason why. A charter of fundamental rights could help people more clearly understand their rights and therefore be able to assert and uphold them. Do you think we need a Charter of Rights in Australia? Or is it best to leave the system the way it is?